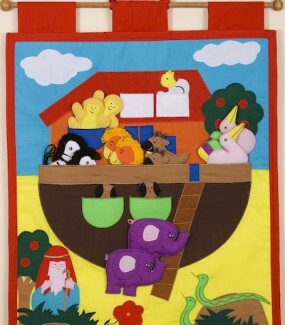 This bright and colourful abc wallhanging is a great addition to a nursery or kitchen wall which will provide hours of educational and fun play. 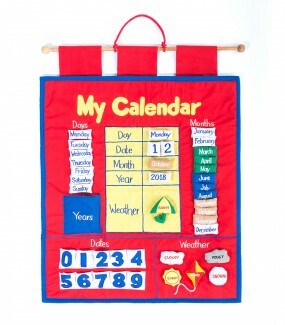 Each pocket contains a figure representing the letter, for example an apple in the “a” pocket, a dog in the “d” pocket, a rabbit in the “r” pocket etc. 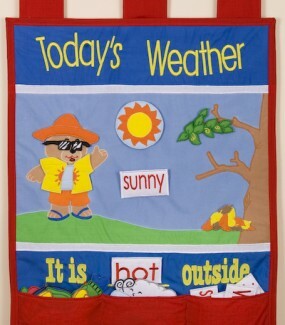 A lovely primary coloured educational wallhanging. There is a little pocket to represent each letter of the alphabet with the appropriate mascot tucked inside. 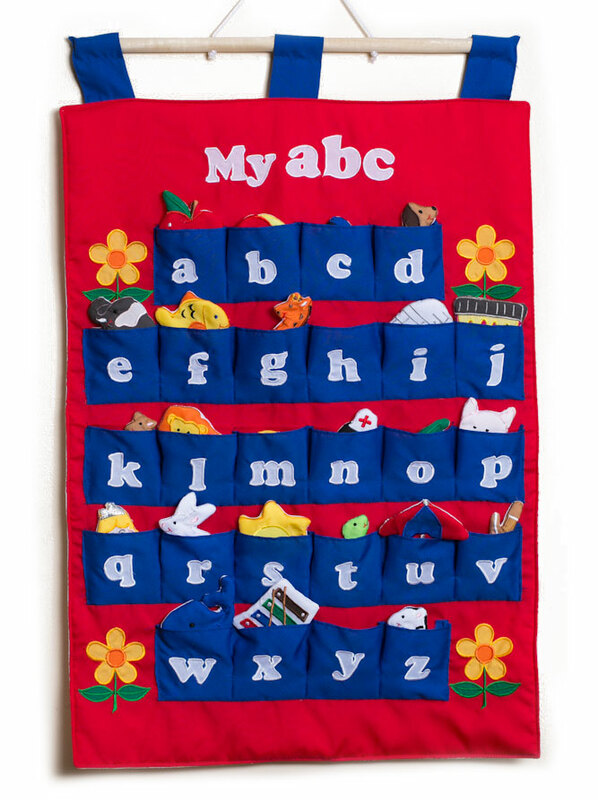 A great way to start learning the alphabet. 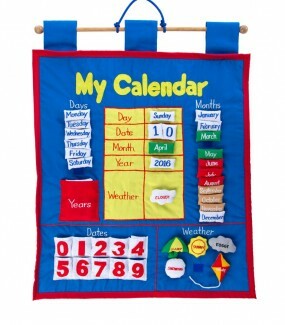 It looks lovely on a bedroom or playroom wall as a decoration and then when the little ones are a bit older you can start the interactive play.